Easy to handle and knot because the thread has the correct twist! 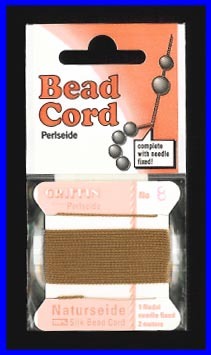 2 meters of thread per card, pre-threaded with a twisted stainless steel needle; comes in 4 different thicknesses. Copper, Bronze, Gun Metal-Beads & Findings.